The Rocky Mountains can make one of the most memorable wedding backdrops in the world. Unfortunately very few of the preferred wedding venues offer onsite parking. With everything else the couple has to worry about on their special day transportation should not be one of them. That is where Summit Express will make your wedding day a success! 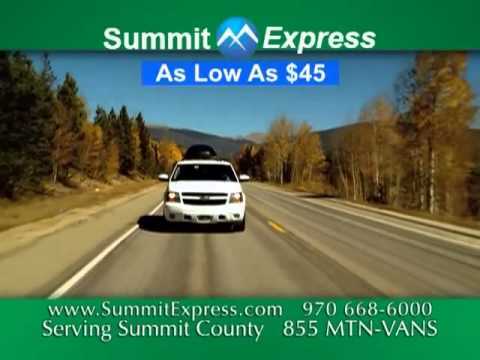 Summit Express can transport up to 200 guests from parking or lodging in town to the venue and back. It handles all your transportation needs and can completely customize its service to fit your wedding activities. Summit Express is booking for wedding transportation service in Breckenridge, Keystone, Copper Mountain, Vail and Beaver Creek. Call today to reserve transportation for your big day!